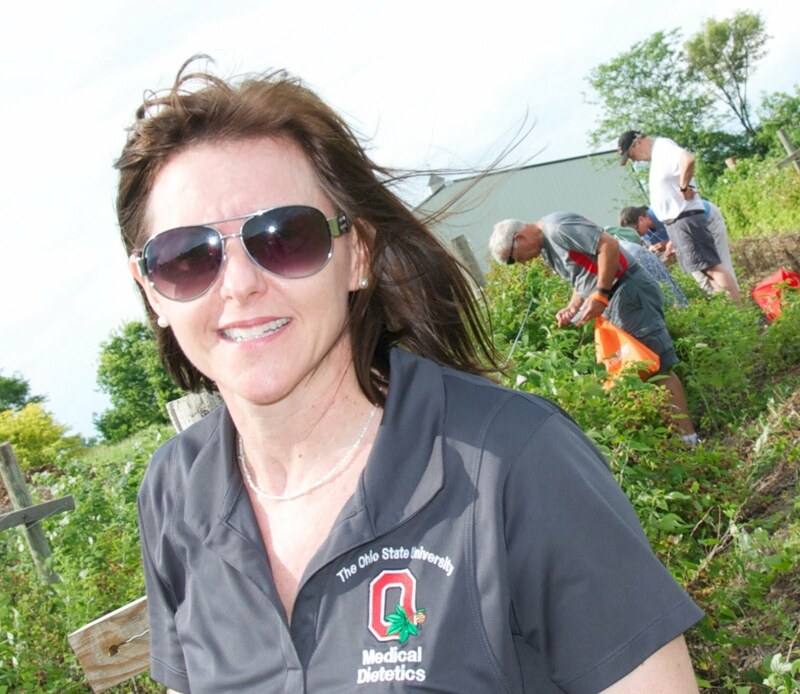 Cancer Victory Gardens - Ohio State Style! In my previous post I shared my excitement about the research project called Harvest for Health being coordinated through the Comprehensive Cancer Center at the University of Alabama-Birmingham for breast cancer survivors. This 3-year research project (which my endowment at AICR has been helping to fund via proceeds from the sale of my book A Dietitian's Cancer Story) is still in progress, and although I have seen some of the preliminary data, I will wait to share that news until more is analyzed and published. Today I am sharing my excitement about a multi-disciplinary research project called Growing Hope being done at The Ohio State University, which is evaluating multiple potential beneficial outcomes that gardens may confer upon cancer survivors. That research is being led by a friend and professional colleague Colleen Spees, PhD, MEd, RD. However, I especially encourage you to watch the following YouTube video (~15 minutes) in which Colleen eloquently describes her personal and professional motivation for this pioneering work. 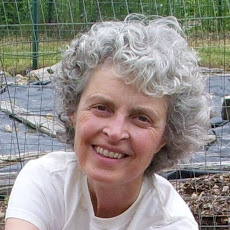 which includes a list of Dr. Spees' publications along with descriptions of the overall programs involving gardening, cooking classes, and diet and health coaching by Registered Dietitians as components of this research for cancer survivors being conducted at Ohio State's Comprehensive Cancer Center. 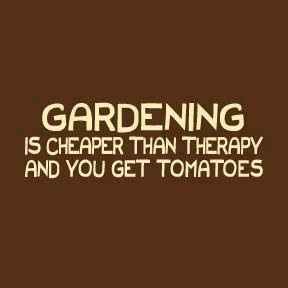 In reality, this quote is one of my favorites precisely because I look forward to the day when gardening is not considered "alternative therapy" for anyone with a cancer diagnosis but instead is included as "best practice" or "standard therapy" as a component of true comprehensive cancer care (along with proactive and individualized nutritional assessments, cooking classes, and medical nutrition therapy where appropriate to help reduce the risk or impact of nutrition-related side effects of cancer treatments, to improve efficacy of cancer treatments, and to increase overall quality of life during cancer treatments and beyond). Both Alabama's Harvest for Health research and Ohio State's Growing Hope research are working on extending the life span plus improving overall health, wellness, and quality of life in cancer survivors. I am excited about both of these efforts and will continue to follow and report their results. However, in the meantime, please don't think you need to wait for official results from a research study to get out there with your hands in the soil. It is still snowing here in SE Michigan today (yuck!) but spring is really here. Indeed! Actually this "Cancer Victory Garden" project (called Harvest for Health) is in the research stage, but no one really needs to wait until all the results are collected and published to get started and enjoy the benefits of gardening. To give you the complete story, I am cross-posting the full info from my dianadyer blog. Reaching this point has taken years of step, step, step determination along with good friends and a bit of good luck. Enjoy the read and the example of what you can do for yourself, no matter where you live! Life begins the day one plants a garden. I have waited almost six months to be able to share this exciting news with my blog readers. Good things often take time to work, to emerge, or to fully develop, rather like rising bread, planting seeds, etc., and are well worth the wait. 1. Wow - What a great project! 2. Why didn't I think of that? 3. How can I help her get as much data as possible from this study? For this study (called "Harvest for Health"), University of Alabama at Birmingham (UAB) cancer researchers plan to introduce 100 breast cancer survivors in a 5-county area in Alabama (see below) to a new kind of therapy — gardening, while pairing the breast cancer survivors with a Master Gardener from the Alabama Cooperative Extension System. “Studies have shown a link between diet and cancer, and between physical activity and cancer. We want to see how cancer survivors respond to this gardening intervention, how it affects their diet and exercise behaviors, and their health-related quality of life and physical health status,” said Wendy Demark-Wahnefried, Ph.D., R.D., professor in the Department of Nutrition Sciences and associate director for Cancer Prevention and Control at the UAB Comprehensive Cancer Center. “Harvest for Health” builds on a successful pilot study conducted by Dr. Demark-Wahnefried at UAB where Master Gardeners worked with a smaller group of cancer survivors over the course of a year to establish a vegetable garden. At the end of that study, the published results showed that many survivors not only improved their diet and exercise behaviors, but 90% of the participants also demonstrated significant improvement in objective measures of their strength, agility, and endurance. This larger study had hoped to expand those findings by not only having a larger study group, but also by measuring several biochemical parameters that are frequently used as biomarkers of successful aging, i.e., telomerase, sVCAM, and d-dimer, at baseline, the 1-year mark, and the 2-year mark after the start of the study. While The Women’s Breast Health Fund of the Community Foundation of Greater Birmingham has generously provided the bulk of the Harvest for Health research grant, my endowment at AICR will fund the last piece to complete the study with as much data collection and analysis as possible. Dr. Demark-Wahnefried (who has led several previous pioneering research studies on cancer survivorship) has noted, "With advances in early detection and treatment, many cancers are now being cured; however, it is the side effects of cancer and its treatment that are often more of a problem than the cancer itself. Thus these biomarkers are important to measure because they tie into longevity and improved physical functioning much more so than cancer itself." UAB provides tools and seedlings and will either prepare a raised bed in the yard of a survivor’s home or provide EarthBoxes® — large gardening containers on wheels — that can be kept on a porch or patio. Master Gardeners visit with the survivors twice a month for one year, offering advice, expertise and suggestions, while answering the questions new gardeners have. The Master Gardeners, who have completed a rigorous certification process from the Alabama Cooperative Extension System, are all volunteers. “They are very excited to be making a difference in the lives of cancer survivors and their families,” Demark-Wahnefried said. If the larger study shows the same improvements in healthy eating, increased exercise, and physical functioning, plus the biochemical signs of successful aging, it is hoped that the program can be offered to cancer survivors throughout Alabama. Special Note: The Harvest for Health study is still actively recruiting participants. If any of my readers are breast cancer survivors from (or know someone from) the following five Alabama counties (Cullman, Mobile, Blount, St. Clair or Walker) and are interested in participating in this study, you may call the following telephone # 205.996.7367 for more information. Dr. Demark-Wahnefried is a gardener herself. I asked when she had her original inspiration for this innovative research approach for cancer survivors. She told me it happened a while ago during her previous years as a researcher at Duke University's Cancer Center while she was conducting research - the Black Churches United for Better Health Project - in which Master Gardeners helped the churches establish Victory Gardens as a way to increase fruit and vegetable consumption among their members. That project was successful, so fast forward to 2014, hoping the same will be true for cancer survivors. I'm not sure if my friend's great idea happened in a "flash" like mine did during our talk this past summer, but in any case, here is another example of a great idea that needed time to develop, to be nurtured, to grow, before finally blossoming. Thank you, Wendy, for your decades of high quality, pioneering nutrition and cancer research, for your dedication to the needs of cancer survivors, looking for nutritional and lifestyle strategies that will optimize their odds for both the extension and quality of life after cancer. I have been honored to contribute to each research project that my endowment at AICR has funded since 2001. However, I must confess that funding Harvest for Health in 2014 also gives me deep happiness, I suppose because this study brings together so many of my long-standing professional interests, friendships, and deeply-held personal values. This could be a Cancer Victory Garden! I am so behind (farming does that) that I know I will never catch up and never be able to do this blog justice with all the ideas I have had over the years for Cancer Victory Gardens. I get a little misty-eyed thinking about that, but frankly I need my sleep. And you'll see that I'm not all that active anymore on my other two blogs (www.dianadyer.com and www.365DayofKale.com) either. I repeat. Farming does that! However, once in a while, something comes along that I just HAVE to share with everyone I know, every way I can. Such is the case with this short documentary that gives the history and the purpose of The Farm at St. Joe's in Ann Arbor, Michigan. Yes, I am interviewed for this documentary (I serve on the Farm's Advisory Committee) but it is not at all about me, not at all. The Farm at St. Joe's is all about healing patients and creating healthy communities and has won an major award from the Catholic Healthcare Association for this ground-breaking (literally and figuratively) work. I can see so many ways that cancer centers could be integrating their patients into a clinic or hospital-based farm, or even small vegetable gardens. Why do cancer centers sometimes help patients who need food assistance with cans of liquid nutrients? Why not let them take home vegetables they have helped to grow or simply give them organically grown and delicious kale instead? or collards? or carrots? or purple potatoes? or garlic? or ................. the list is endless! Please feel free to share this short documentary widely. Who knows when life will begin again for someone who has the opportunity to work in a Cancer Victory Garden? 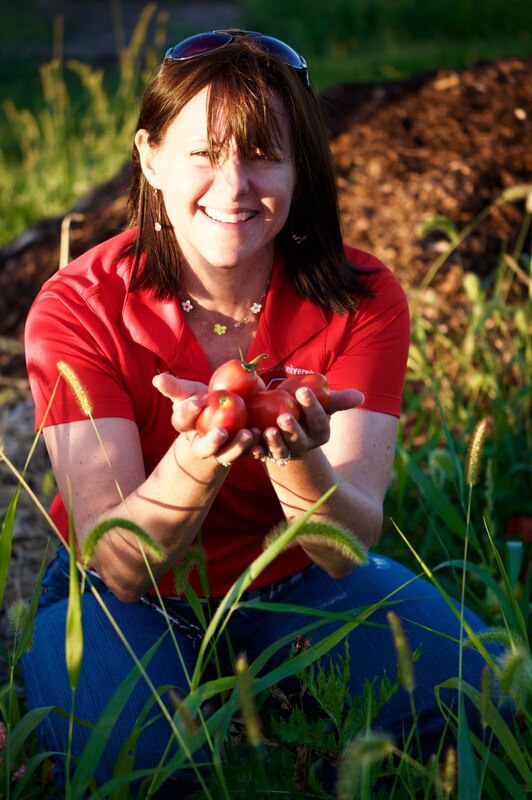 Who knows how far the ideas, the happiness, the health, and healing at The Farm will spread? Maybe even to your hospital or cancer center! :) I hope so!